Transfers of photography of the Saints in quiet places…..these are from photographs I’ve taken at various cemeteries in Texas and New Mexico…..I take it to another level by creating transfers….some on paper and some on canvas…. 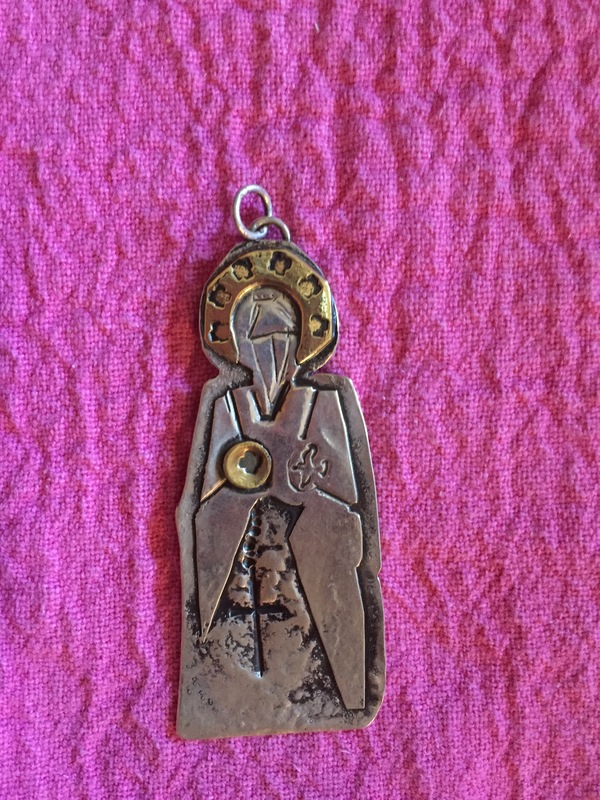 David Brooks / From the Ashes for Renee Steger Simpson….St Francis in Silver….SOLD and on its way to its new owner…..love these pieces sooooooo much!!!!! One of a kind custom pieces….when artists collaborate and love what they do!!!!! !